Aim=To provide effective earthing by eliminating electrostatic charge to save sensetive equipments and to avoid power disturbance. Meets the IS 3043-1987 requirements. Longer life as compared to conventional earthing. 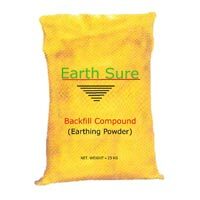 Low resistance value ensures safe and sound earthing. 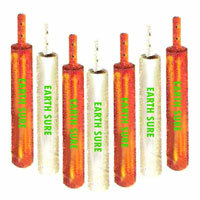 Working= Earth Sure Electrodes employs hot dipped tubes galavanised from inside and outside. 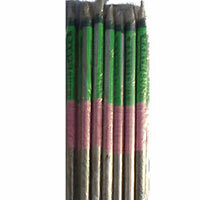 Hot dipped galavanised strip in G.I pipe is used as primary electrode and it helps in smooth flow of current. G.I pipe is secondary electrode and filled with a special compound which has conductive and non-corrosive elements which helps in longer life of electrode. G.I strip ensures effective earthing is provided with earthing terminals directly. 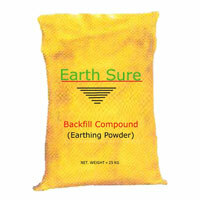 With Earth Sure Electrodes, we have benefits of both strip and pipe earthing.